Another weekend, another failed attempt to roam the city and try everything Prague has to offer in two days, while getting some rest after a busy week. Oh well. That's life. But the summer is nearly here and the weather is getting better, so we just have to power through this and we’ll sleep at work later on. Sounds like a plan! We bring you an overview of events that caught our eye for the weekend ahead. We will try to see them all, but we can’t make any promises. Especially mixing beer and Prosecco wines could be a pretty dangerous mix, but with the food and the culture you get along the way, we think we could keep it civilized. See you there! The interesting thing about Karlin’s Holy Foodie Trinity, i.e. Muj salek kavy, Tea Mountain and Veltlin, is that none of these places are about food. But it still lures foodies from the entire town to enjoy great coffee, tea and wine. We do love the Veltlin wine bar for many reasons, the main one being the owner, Bogdan Trojak. Bogdan is a fascinating man: a poet, a writer, a winemaker, the founder of the “Authentic” (read “natural”) winemakers and the man behind the awesome Prague Drinks Wine festival. He’s also one of the nicest people on the Prague foodie scene. We make a point of having a glass of wine on our tours. We have figured you will have the beer anyway. It’s cheaper than tap water in many restaurants here, and it’s so ubiquitous we would not believe you if you said you did not have one in Prague. But wines? No. Czech wine production is tiny and exports are rare, so most foreign visitors do not associate Prague with wine. The very same people have decided this year to organize the second installment of Prague Drinks Wine, a festival of natural wines from the former empire in Prague, to be held on 6 and 7 June. The festival tries to follow on the long-forgotten tradition of meetings of Empire winemakers held before WWI. The festival will host about 50 Central European winemakers offering about 400 samples of wine. Yes, sure. Prague equals beer. Of course. We get that a lot. But the fact that the Czechs have the biggest consumption of beer per capita in the world… by a wide margin, does not mean that you have to neglect that wine addiction you have worked so hard to build when you visit Prague. The Czech Republic actually produces some very nice and interesting wines, too. Heck, we even run our Moravian wine tours to promote that fact! The truth is you may not have heard about them: with about 18,000 hectares and a production that does not satisfy even one half of the Czech consumption of wines, it is hard to get your hands on a Czech bottle outside of the country. 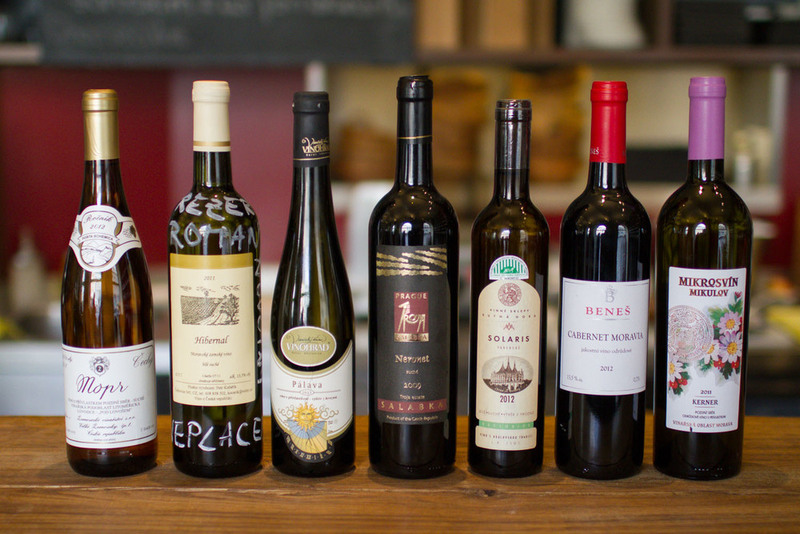 But which wines should you drink in Prague? It is sometimes hard to pick that special bottle when you travel and you are not familiar with the territory, the tradition and the climate. Mind you, the sommeliers in the wine bars we like to visit in Prague are very knowledgeable and speak great English. Still, we wanted to know what some of the leading personalities on the Prague wine scene would recommend that you order in Prague. Here’s what they had to say. When we first scouted locations for our Moravian wine tours and talked to smaller winemakers who made natural wines and who had a great reputation here in Prague, one name in particular kept coming up: Bogdan Trojak. His recently established group of winemakers who made natural wines without any additives, “Autentiste”, started to make waves as something new and exciting both here in Prague and clearly in the Moravian wine country, as well. All of the winemakers we met talked about him and his efforts with the highest respect.